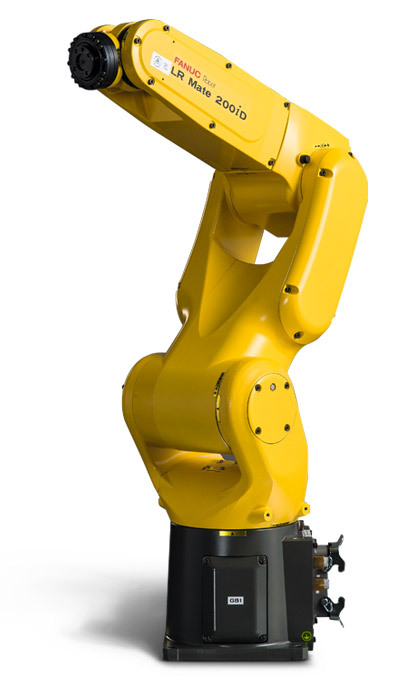 The FANUC LR Mate 200iD is a compact 6 axis robot with the approximate size and reach of a human arm. 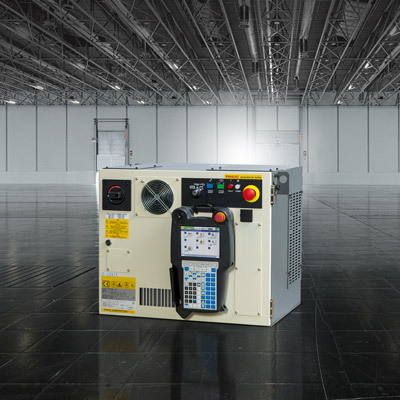 It combines best-in-class robot weight-load capacity with standard IP67 protection and outstanding FANUC quality. This makes the LR Mate 200iD the best and most reliable mini robot for process automation in many industries. 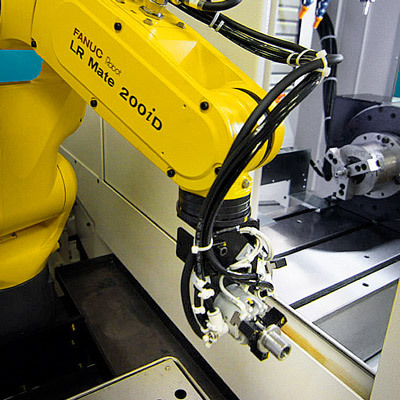 The compact LRMate 200iD delivers high throughput and short cycle times, making it an ideal all-rounder for industrial robotics applications. Smart sorting using intelligent vision for maximum versatility. Smooth vibration-less motion even at high operating speeds. Weighing in at only 25 kg, LRMate 200iD is easy to integrate and, thanks to multiple mounting positions, offers huge locational versatility including extremely narrow spaces. The high-speed wrist available on 200iD/4SH LRMate models or the short arm on the 200iD/7H model, enable even faster processing and handling.